Many of my clients have discussed with me their frustrations of reaching a point in their lives where awareness is no longer enough, they are looking for transformation. How do we reach consciousness and powerful life change in a world of psychotropic medication, life coaching and long term psychotherapy ? We have created a culture of extreme self insight of why we do the things we do, or believe what we believe. However we often find ourselves regressing to old ways, or unable to sustain long lasting change despite our rational understanding of ourselves. During the process of traditional psychotherapy and sometimes via self help books many of us have found the connection of how our upbringing and family environment affects us. However after all that reading, and self awareness, how many of us really experience true transformation ? So how do we take this self awareness and understanding to the next level ? Many believe and have verified that the subconscious mind is the gateway to real transformation. Our subconscious mind houses our memories, conditioned behaviors, core beliefs and is also an enormous resource of our highest potential, our inner wisdom, our spiritual essence. In this mysterious part of ourselves, that most of us can not access on a day to day basis, lies the hidden raw material with which we can recreate our lives, embracing empowerment, healing and long term change. According to Bruce Lipton, a world renowned molecular biologist, our cells have a stored conscious memory of all of our experiences and we are deeply affected on a cellular level by our perception. This information is available in the mainframe of the brain, in our subconscious mind. We can not access this imprinting of early perception through the rational conscious mind. However we do have the possibility to access this stored information through altered states of conscousness such as hypnosis and other induced meditative states. In those states we hold the possibility to have a therapeutic, transformative experience that is powerful, life changing and often permanent. In hypnotherapy for example, a client may experience behavioral changes, and actual shifts in emotional well being by working through inner conflicts via the subconscious mind. This type of therapeutic experience can help those struggling with addictive behaviors, unprocessed or persistent feelings of fear, panic, depression, anger, loneliness, shame or guilt. It can help unlock one’s talents, courage and hope, reprogram false beliefs about oneself or others and allow for forgiveness, healing and letting go. Bruce Lipton recommends hypnosis, EMDR, meditation or regression therapy as a gateway to reach this sacred place of transformation and behavioral change in the subconscious mind, the core of our being. Through these altered states of consciousness, a skilled therapist can help the client reprogram the initial imprinting of their belief systems and elicit healthy understanding and behaviors by creating new neuro-pathways in the brain. Through repetition of certain perceived messages ( called affirmations) new healthy beliefs begin to formulate themselves in the subconscious mind. Also emotional release that is obstructing the possibility of change can be facilitated easier in this state. Since all information, according to Dr. Lipton, at the subconscious level is processed 40,000 times faster than in a conscious state, we can affect actual change because we are going to the subconscious mind directly during the therapeutic exchange and experience. During a hypnotherapy session a client may discover destructive or negating beliefs or programmed messages that have been stored in this cellular memory that are preventing them from living fulfilling lives. Our beliefs do create our reality as all our decisions and even unconscious messages stem from those inner perceptions about ourselves and others. The inner messages can state “I am not good enough”, “the world is a dangerous place”, or “I am not lovable”, ”No matter what I do, I can’t succeed”, “I don’t deserve to be happy”, etc. So for example, if a client comes to an understanding that they are in an abusive relationships because they observed abuse in their families but they stay stuck in attracting abusive people into their lives, it is because their core belief in the subconscious mind has not been accessed or “reprogrammed”. In hypnosis, they may find their belief is ” People who really love me abuse me, or I don’t deserve a relationships without abuse”, thus explaining the cycle and pattern of such relationships. 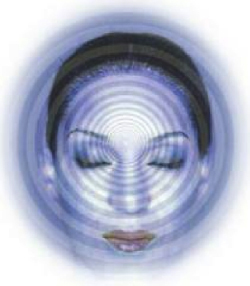 In altered state of consciousness, induced by hypnosis, they can create a corrective experience forming a new decision or new message for the subconscious mind such as ” I deserve a healthy loving relationship”. They can also access any feelings they may need to process towards their parents, partners or themselves, release these emotions permanently and start with a clear slate. With a new belief and cleared emotional state they will impact future decisions and choices that reflect this new found inner reality and emotional understanding.